Step out of Te Anau with an excursion to Bowen Falls in Milford Sound--about 1h 05 min away. On the 10th (Sun), hike the day away at Routeburn Track. 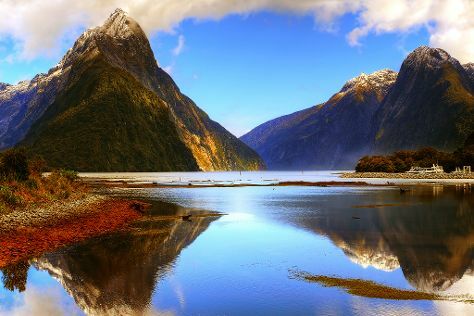 Next up on the itinerary: contemplate the waterfront views at Milford Sound, identify plant and animal life at Doubtful Sound, hike along The Chasm Walk, and explore the fascinating underground world of Te Anau Glowworm Caves. To find other places to visit, reviews, where to stay, and other tourist information, use the Te Anau online trip itinerary maker . Kuala Lumpur, Malaysia to Te Anau is an approximately 18.5-hour combination of flight, bus, and taxi. You can also do a combination of bus, flight, and taxi; or do a combination of train, flight, bus, and taxi. You'll lose 4 hours traveling from Kuala Lumpur to Te Anau due to the time zone difference. Finish your sightseeing early on the 11th (Mon) to allow enough time to take a bus to Queenstown. Start off your visit on the 12th (Tue): get your game on at Skyline Queenstown, then browse the exhibits of Silver Fern Gallery, and then get some thrills on the water with a speed boat tour. Keep things going the next day: get your game on at Dark Ride, get interesting insight from Tours, then relax and rejuvenate at some of the top local wellness centers, and finally see the world from above with a helicopter tour. 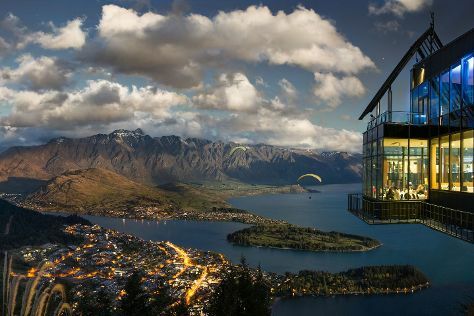 To find traveler tips, reviews, where to stay, and other tourist information, you can read our Queenstown trip planner. Getting from Te Anau to Queenstown by bus takes about 3.5 hours. Wrap up your sightseeing on the 13th (Wed) to allow time to travel to Wellington. Kick off your visit on the 14th (Thu): catch a ride on Wellington Cable Car, admire the natural beauty at Wellington Botanic Garden, then get engrossed in the history at The Great War Exhibition, and finally examine the collection at Museum of New Zealand (Te Papa Tongarewa). For ratings, more things to do, maps, and other tourist information, go to the Wellington trip itinerary builder site . Traveling by flight from Queenstown to Wellington takes 3.5 hours. Alternatively, you can do a combination of bus and flight; or do a combination of car and ferry. In March in Wellington, expect temperatures between 22°C during the day and 16°C at night. Wrap up your sightseeing on the 14th (Thu) early enough to travel to Rotorua. Start off your visit on the 15th (Fri): take a peaceful walk through Redwoods, Whakarewarewa Forest, take a pleasant ride with a tour on horseback, then witness a stunning natural landmark at Te Puia, and finally take in the natural beauty of Wai-O-Tapu Thermal Wonderland. To see more things to do, traveler tips, where to stay, and other tourist information, read our Rotorua road trip website . You can fly from Wellington to Rotorua in 3 hours. Other options are to do a combination of flight and bus; or drive. Traveling from Wellington in March, expect nights in Rotorua to be about the same, around 18°C, while days are somewhat warmer, around 26°C. Finish your sightseeing early on the 15th (Fri) to allow enough time to drive to Auckland Central. 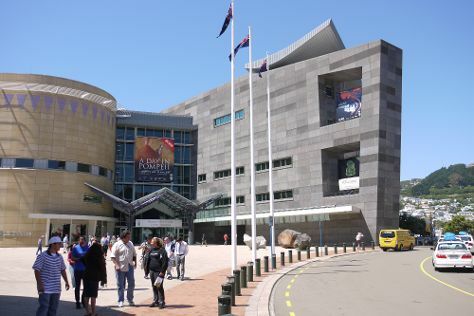 On the 16th (Sat), admire the masterpieces at Auckland Art Gallery Toi o Tamaki, then learn about all things military at Auckland Museum, and then take in panoramic vistas at Sky Tower. To find reviews, traveler tips, where to stay, and tourist information, refer to the Auckland Central trip planner . Getting from Rotorua to Auckland Central by car takes about 3 hours. Other options: fly; or take a bus. Traveling from Rotorua in March, you will find days in Auckland Central are a bit cooler (22°C), and nights are a bit warmer (22°C). Finish up your sightseeing early on the 16th (Sat) so you can travel to Paihia. Start off your visit on the 17th (Sun): identify plant and animal life at Paihia Harbour, then admire the natural beauty at Waitangi Treaty Grounds, and then get a dose of the wild on a nature and wildlife tour. Keep things going the next day: fly like a bird with a parasailing or paragliding tour, take a tour by water with Boat Tours & Water Sports, and then get close to the beloved marine mammals with a swim-with-the-dolphins experience. 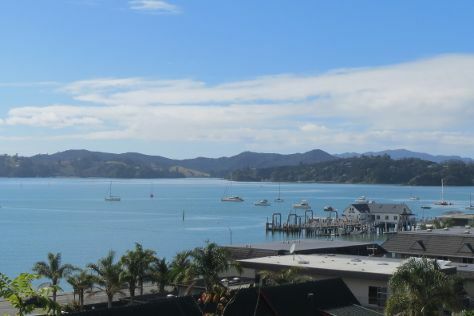 To see traveler tips, more things to do, ratings, and other tourist information, read Paihia online sightseeing planner . Do a combination of flight and taxi from Auckland Central to Paihia in 3 hours. Alternatively, you can drive; or take a bus. You will have some time to spend on the 19th (Tue) before leaving for home.